Have you ever noticed that your children watch your every move? One of the most important reasons to make regular dental appointments is to encourage the rest of your family to do the same thing. When your children can see that you take your dental health seriously, they might make their oral health a priority too. Also, when kids can see that visiting the dentist isn’t difficult or scary, they might not have as much anxiety when they have to have a cavity filled or undergo their regular dental cleanings. Do you love spending money at the dentist’s office? If you would rather sink a little cash into your home, wardrobe, or vacation account, you should make visiting the dentist a priority. When you meet with the dentist regularly, he can inspect your teeth to track existing damage and to treat new problems. Small fractures can be repaired and tiny cavities can be filled easily. However, if you simply make appointments whenever your teeth hurt, you might have to endure extensive repairs. You might have to undergo root canals, intense scaling procedures to remove plaque and tartar accumulation, or take courses of antibiotics to get rid of painful dental infections. Also, since more extensive repairs tend to be more costly, visiting Dr. Trujillo regularly might help you to protect your financial picture. Each and every day, you make decisions that affect your teeth. You might choose to go to bed without brushing, or to buy a new type of oral floss picks that you haven’t used before. But what if one of those decisions harms your teeth? 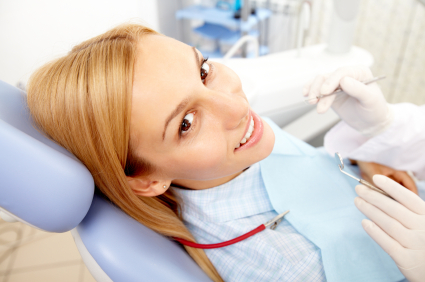 If you don’t meet with your dentist regularly, you might unintentionally damage your teeth for months or years. Though he primarily offers periodontal services, visiting with Dr. Trujillo regularly gives you the chance to chat with him about your daily routine. If he spots issues that might be preventable, he can teach you new ways to fend off future problems. Last but not least, meeting with your dentist regularly might help you to keep your teeth white and attractive. In addition to keeping your teeth healthy, your dentist might suggest cosmetic improvements, such as whitening, bonding, and dental implants. If you invest a little time and effort into dental upgrades as you go along, you might be able to enjoy a sparkling white smile for years to come. If you have questions or concerns about your teeth, contact our office today. Our periodontal team can evaluate the health of your teeth and gums, correct any issues, and teach you how to avoid problems in the future.